The address of Bia hoi Corner is at Hanoi Old Quarter. That is junction of Ta Hien street and Luong Ngoc Quyen street, which located in the center of Old Quarter Hanoi. Initially, it was just a beer restaurant to serve the needs of poor people in Hanoi. And then, really coincidentally, this place has become a address to many tourists used to frequent. Somebody call it is International bia hoi Corner but we call it is cheap beer or "Old Quarter bia hoi". From Hoan Kiem Lake and Turtle Tower, you go straight to the north and along Hang Dao street, and then turn left, you will see Hanoi Bia hoi Corner Restaurant. You also walk from Hanoi Old House 87 Ma May street to here. It is very small and extremely narrow, exactly in the style of Hanoi 36 streets. 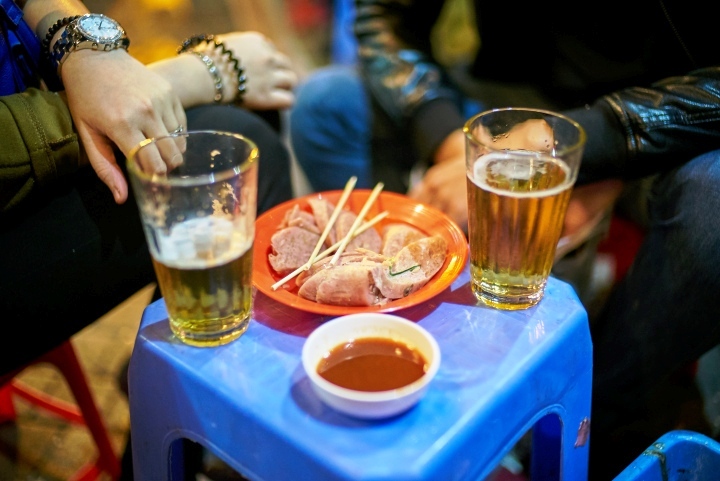 Some travelers and tourists said that they did not like this beer and here is so noise to relax and enjoy the cuisine of Hanoi in a comfortably way. At night, you may must sit down on the sidewalks or even roadway to drinking this beer. It is where you sit on a tiny plastic chair and drinking Hanoi beer. How much is Bia hoi Corner? Perhaps you will do not believe that how cheap it is. About 10 years ago, it costs about 3.000-4.000 VND for a beer and now it is about 10.000-12.000 VND (1 $ = 22.000 VND). I believe that it is the cheapest beer in the world. Note that Bia hoi Hanoi has just an alcohol concentration between 4 to 4.5%. If you are interesting in drinking the best beers in the world, you may not fancy this beer. 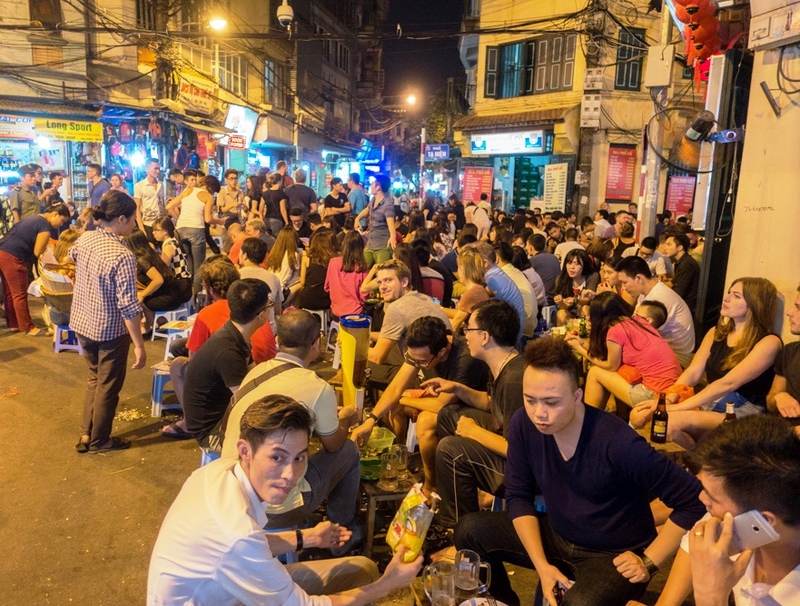 However, I think that although do not like this beer but you should still come here to know what beer Hanoi people often drink in our everyday life.